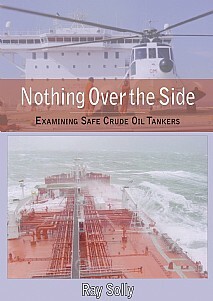 This is the first recent book to lift the lid off the crude oil tanker industry and to demonstrate that, contrary to general opinion, crude oil tankers are the safest and most regulated business/industry in the world. As an ex-supertanker navigating and deck officer, the author saw for himself during two recent voyages how ships were operated on a daily basis and everything was recorded exactly as it happened. These findings are important to all who wish to know what happens aboard the thousands of tankers that transport the vast quantities of unrefined oil used for the diverse essential commodities in our daily lives. Other issues are confronted such as the efforts made by the industry to deal with flag states and sub-standard operators that do not readily conform to international laws and conventions; the examination of double-hulled tanker construction; the protection of tanks against rusting and corrosion; water ballast transference; cutting greenhouse emissions and sea pollution prevention, including the environmentally-safe dispersal of marine growths on the hull. Light is cast upon a number of topical issues such as international piracy; concern with the worldwide fall in numbers of officers and ratings; up-to-date methods of securing their training; safety on board ship and the navigation of the tankers themselves, along with the latest efforts to regulate ship breaking on Asian beaches. The determined efforts of the crude oil tanker industry including its proactive initiatives to make each tanker safe and efficient at sea provide a fascinating account which is at times surprisingly dramatic. This factual and illustrated account will be of interest to all readers within the international oil industry, maritime or shipping organisations, tanker enthusiasts and all those who wish to keep themselves informed of current practices and legislation within the oil industry.